Table Quiz Helper: How many people does it take to run a table-quiz? How many people does it take to run a table-quiz? If you have chosen to run a DIY table quiz, rather than to hire specialists, then then you need people to help with preparation and at-the-event roles. These could be volunteers, or even paid staff, depending on your location and organisation. What matters is that you understand how many people you need - and they understand what they are supposed to be doing. So - what exactly do you need people to do? Making sure that everything you need is put into the place where you need it. How many: This depends on the venue, and how your refreshments are managed. In a pub, the staff will do the shopping and preparation, and will put out the tables and chairs, and they may even set up the scoreboard and PA system if they are used to having pub-quizes there. In a community centre, you may have put out the tables and chairs, and bring everything else. Bottom line - you need to agree this with the venue owner when you make the booking. 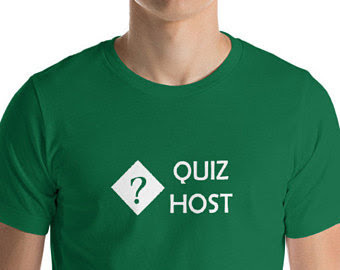 The greeter is only busy before the quiz starts, and the runner is only busy when the first questions start being asked, so it is possible to combine these roles. But if your team are all volunteers, it may be better to spread the workload over several people, so no one feels overburdened. Tells participants what is going on, announce each round, reads out the questions, reads out the answers, announces the scores, tells people about the raffle, announces the winners, thanks the sponsors. How many: At least one. However that person will be talking a lot, so sometimes two people co-host and "job-share" the role, and take alternate rounds. See also: a typical quiz-master job-description. Checks the answer-sheet from each team against the official answers, and assigns points based this. Keeps track of the overall scores. Collects completed answer sheets at the end of every round and taking them to the Markers - and during the round, watching out for signs of cheating. Serves snacks and drinks to quiz participants as required. How many This totally depends on your venue: If you are in a pub, the staff will look after everything. But in a community centre, you may have to do everything from buying the supplies to getting rid of the rubbish at the end of the night. Makes sure that everything is put away, and the venue is left how you found it. How many: This depends on the venue, and how your refreshments are managed. In a pub, the staff will do all the cleaning. In a community centre, you may have to stack tables and chairs and mop the floor. Bottom line - you need to agree this with the venue owner when you make the booking. Find and book the venue. Promote the quiz - encourage people to come. Answer enquiries from people who are interested, but want more information. Get raffle tickets and prizes. Make up the questions, and answers. Keep both of these secure until the night. 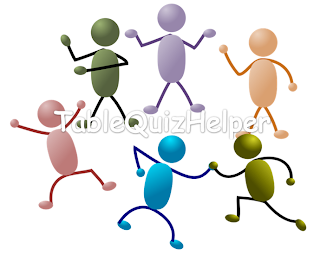 It is possible for one person to do everything, but many table-quiz organizers prefer to have people to spread the load and help with all these tasks. 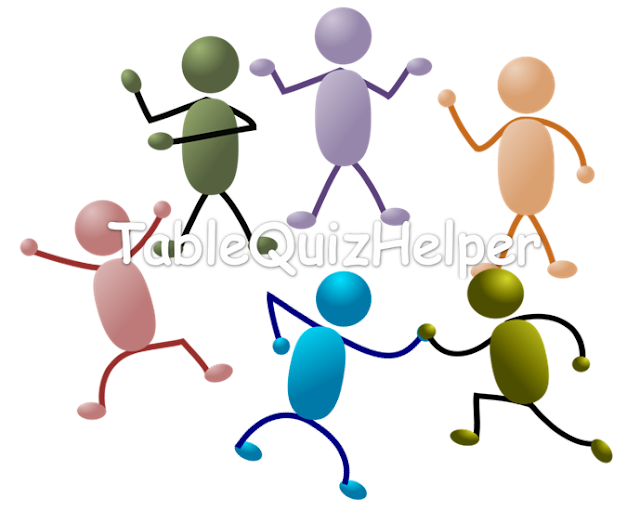 To run a table-quiz with ten tables, then you probably need at least three people (one MC / quizmaster / host, one runner and one marker). After that, the sky is the limit - but the more people you add to your team, the more time you need to spend briefing them about what's happening and what you need them to do.